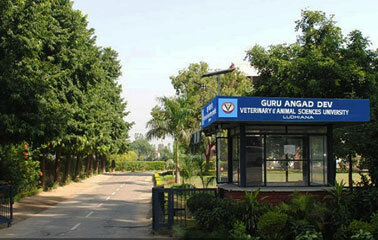 Online applications are invited for admission to the eligible candidates residing in Punjab State/Union Territory of Chandigarh for admission to the Diploma in Veterinary Science and Animal Health Technology of this University for the academic session 2018-19. The admission to Diploma course will be through Entrance Test. Candidates must have passed 10+2 with Physics, Chemistry, English and Biology from a Board recognized by Council of Boards of School Education (COBSE) in India with at least 50% marks (45% marks for DP and 40% marks for SC/ST and BC categories) in aggregate. Candidates are required to visit www.gadvasu.in to apply online. Online Application Form for Diploma course along with Prospectus is available at GADVASU website www.gadvasu.in. Prospectus contains all the details regarding eligibility, schedule of Entrance Test/Counselling/Interview/Admission Procedure, reservation of seats etc. Online Application along with requisite fee should be submitted by the candidates by the due date and time for admission to Diploma course. For any queries, the applicants are advised to consult the Prospectus or visit the University website: www.gadvasu.in or contact office of Registrar at Phone 0161-2553394.